The United States Golf Association is rarely accused of being radical. Instead, the 107-year-old organization is usually charged with being mired in the old ways of doing things, unwilling and unable to bring itself into golf’s modern age. The truth lies somewhere in between, as illustrated recently by a few changes in USGA tournament rules. The USGA Executive Committee adopted the new arrangements at a recent meeting. The first change affects the U.S. Open. For the first time since the national championship began 101 years ago, players will start play on the first two days from the first and the tenth tees. Previously, all players began their rounds on the first tee. When we went to the 1997 U.S. Open at Congressional Country Club outside Washington, DC, we just missed seeing the first few pairings tee off, beginning just after 7 a.m. On the other hand, the last tee time pairings didn’t begin play until well into the afternoon. If we wanted to, we could have sat by the first tee nearly all day. For the gallery, the media, and the players, that little bit of tradition made for very long Thursdays and Fridays. In addition, players facing the tough conditions at the U.S. Open always slow down as they struggle to make par and the cut. Rounds lasting well over 5 hours have become far too prevalent. The first-tee starting tradition only exacerbated the problem. The USGA first instituted the two-tee start for the U.S. Women’s Open in 2000, and followed that success with the U.S. Senior Open in 2001. Viewed in that light, the change for the 2002 U.S. Open is a natural progression. We’ll see how it works next year on June 13 at 7:15 a.m. on the Black Course at Bethpage State Park in Farmingdale, New York. The next major rules change involves the qualifying tournaments for the 2002 U.S. Women’s Open. That’s right, tournaments. Previously, women seeking to qualify for the Women’s Open only needed to shoot one good round to make the field. In recent years this led to several amateurs making the field, only to blow up in their first round at the finals. LPGA players and others complained, and the USGA listened. The Women’s Open is scheduled for July 4-7, 2002 at Prairie Dunes Country Club in Hutchinson, Kansas. 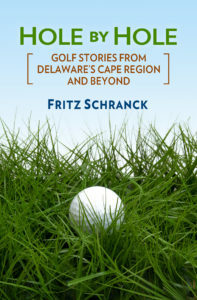 To make the finals, players must now play 18 holes in local qualifiers at one of the approximately 16 sites, and then play 36 holes at the sectional level at approximately eight sites. The final USGA change affects the Women’s Amateur Public Links championship, played with an 18-hole final match since the USGA started the event in 1977. From now on, the conclusion will be a 36-hole match, the same as the Men’s Public Links event as well as the two primary Amateur championships. The new tournament rules should improve all three events. The Open’s first two rounds will be speeded up; the Women’s Open should have an improved field; and the 36-hole final in the Women’s Public Links will reduce the role that luck can play in 18-hole match play. Seems pretty up-to-date to me.